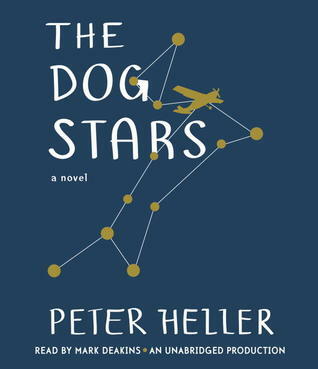 I saw The Dog Stars in a local bookstore recently – I have to admit the cover is what drew me, it reminded me of the star maps in a stargazing book I had as a kid – and asked one of the ladies behind the counter what she knew about it. She recommended it highly, so I checked it out of my local library (don’t feel bad for the bookstore, I was there buying another book). I’m now maybe 50 pages into it. I’m finding it both hard to put down, and a little difficult to read. Not because of the plot, but because of Heller’s writing style. I haven’t read anything else by Peter Heller, so I don’t know if all his books are like this, but his style in this book tends to be choppy, some of the sentences incomplete, some run together. But the story is really intriguing, so I just keep on reading. I guess that’s the mark of a good book, that you read it in spite of itself. But as I said, I’m only about 50 pages in, so I suppose it could go either way – I could get tired of the style and stop reading, or I could get used to the style and keep on. I suspect it will be the latter, because it’s really a good story.